Can you believe that it is February already? The world just keeps spinning and spinning, so we might as well enjoy it! This month has been a pretty big month for me. 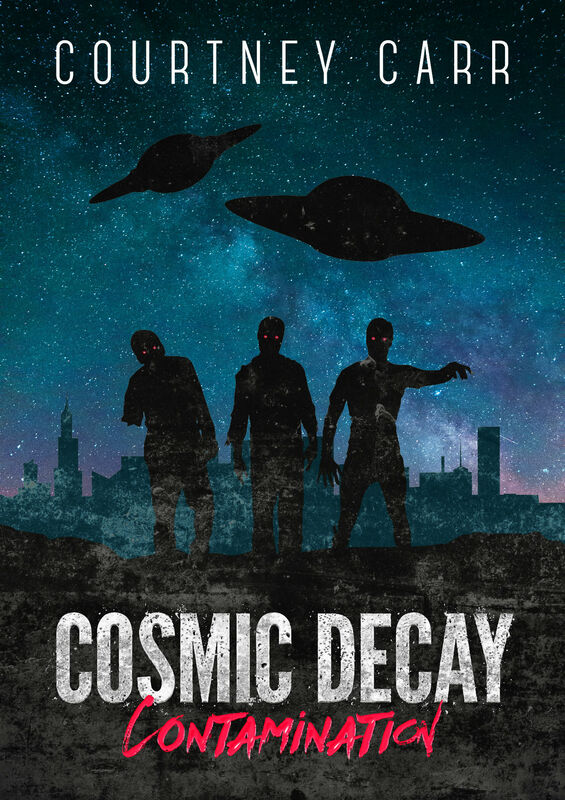 As you are reading this you are probably aware that I became an author with my first ever novel Cosmic Decay: Contamination which was launched on this website on the 23rd February. 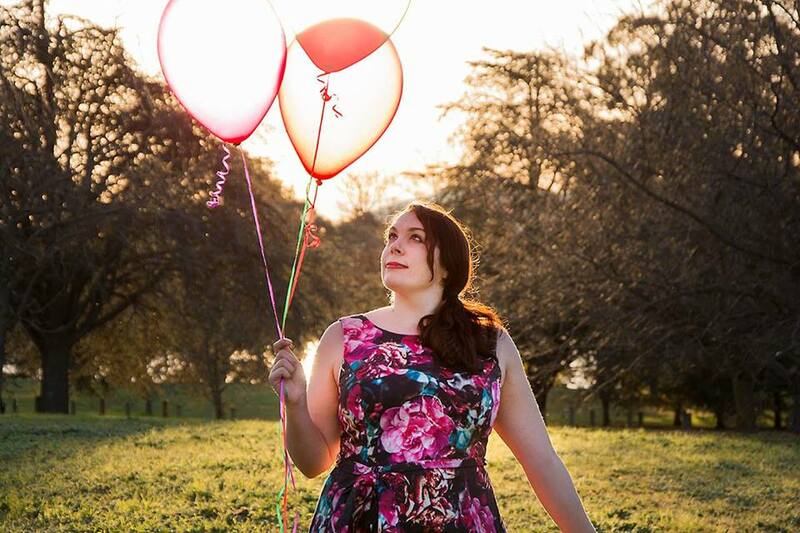 Well this past weekend I had my first ever book launch for the novel and it was such an amazing feeling! I feel like I have already accomplished so much with it, and the rest of 2017 promises to be even bigger with a book signing taking place this weekend, and a few exhibitions coming up soon. If you want more information on the launches, check out my professional writing website Courtney Rachelle Carr for more information, otherwise be sure to pick up your own copy of Cosmic Decay: Contamination right here! I’m always spending way too much time pouring over the weddings featured on Rock n Roll Bride and this February is nothing different. If you have time, check out this awesome Steampunk styled wedding where the bride is actually wearing wings, this festival wedding with a perfect retro camper van dishing out scones with jam and cream, this Halloween themed wedding with killer table decorations, and this great Burning Man wedding where the bride has epic blue mermaid hair! Looking for some food and drink ideas for your next event? Check out The Frosted Petticoat for inspiration. These dark stained glass sugar cookies are the most amazing cookies I have ever seen! Last formal season Hot Topic released the most amazing array for formal dresses that are perfect for any comic book fan. Gotham Knights feature dresses, suits and accessories in the style of classic DC comic superheroes and villains such as Batman, Wonder Woman, Poison Ivy, Catwoman, The Joker and Harley Quinn. Check out the awesome formal wear here to make a splash at your next do! I’ve been getting really stuck into Starset recently, and I am obsessed! Check out his amazing techno rock that is out of this world! With Beauty and the Beast just around the corner, The Guardian took a perfect look at why Emma Watson is a perfect blend of feminism and fairytale. Connection – I am going to connect more with my husband; spiritually, physically, and filled with soul! Countries – Countries are always on my bucket list and travelling to a new one every year is always a priority for me. With our lives up in the air right now, even if I don’t get to go on my Vietnam trip until later this year, or my South Africa trip at all this year, then I am going to spend some time exploring my very own country! Create – This one has been ticked off already! What speaks to my soul is writing, so I am thrilled to have released my brand new book Cosmic Decay: Contamination this month, not to mention being able to continue writing for The Party Connection, and the new pet project I am working on with my husband – our brand new travel blog Wild Pineapples! Clean up – I want to help make the world a cleaner and healthier place, and I feel like I am making at least a bit of a different by being an Eco-friendly vegan. I don’t eat meat or purchase products that have been used animal products or tested on animals, but I still feel we can do more for the world this way. I’m going to try and cut down on packaging, and seek out an Eco-friendly way to help! Camp – Now, I have already ticked this off my bucket list too, by going camping for two days with my husband and dog over the Australia Day long weekend this year. And while I pushed myself out of my comfort zone and had a great time, I want to do more getting back to nature and getting my feet in the dirt by doing a lot more hiking this year. Compass – This is all about the direction you are heading in life, and this has become the priority for my husband and I this year. We plan on finding a place to live, settling in, starting our savings for buying a house and (possibly) starting a family. Not all in one year mind you, but we are definitely trying to take those first steps into our future. Communicate – I want to communicate a positive message to everyone I meet through body language, verbal discussions and through my writing. I’m already working on my body language and posture, and someone has already told me that I’m a positive person, so that feels like a pretty big tick in the check box! Completion – I have a chalk board full of smaller goals I need to kick, and kick them I am going to do! From selling unused items to cleaning out our garage, to finally writing in our friend’s travel books, everything on this list will be ticked off by the end of the year! Community – In recent years our goal was to make new friends, and we definitely did that. Now I want to cultivate the relationships we have to make them the best there are! So tell me, what is on your soul’s bucket list for 2017?